Fancy color diamonds are a magnificent treasure, and the whole world deserves to enjoy their beauty. Every few years, a diamond company allows especially wonderful diamonds from their collections go on display for national viewing at an esteemed museum. The Smithsonian Museum of Natural History in Washington DC recently had an exhibit called “The Splendor of Diamonds” which displayed 7 of the most important diamonds in the world today including the one and only Moussaieff Red. Those diamonds were contributed by several owners but the most recent display will be at the Natural History Museum of Los Angeles by NY jewelers L.J. West Diamonds in an exhibit called “Diamonds: Rare Brilliance”. The winners of the Impossibly Rare Argyle Violet Diamond in this year’s Argyle tender, L.J. West certainly have a covetable collection to exhibit. The Argyle Violet is touted as the largest ever violet colored diamond that has ever been discovered at Rio Tinto’s Argyle mine in Kimberley, Western Australia. It was the hero diamond at this year’s Argyle diamond tender, as violet diamonds are one of the rarest colors of fancy color diamonds. Its size makes it a prize indeed and it is no wonder that it is a focal point of the exhibit. 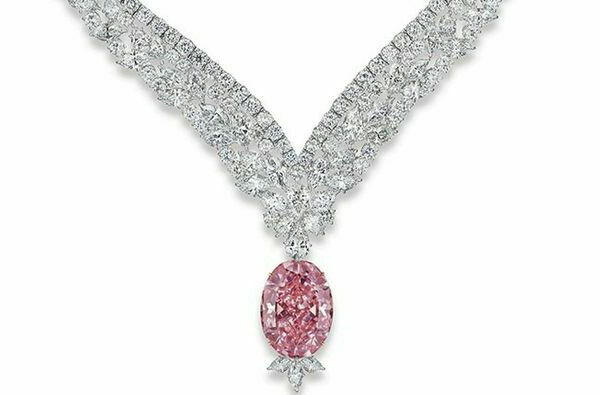 Additional diamonds that will be on display include the Juliet Pink diamond, the Victorian Orchid Vivid Purple Diamond, and the Rainbow necklace. The President of L.J. West Diamonds, Larry West, was quoted as saying that he felt that these diamonds deserved to be on display to help change fancy color diamonds into something more real than just a story. 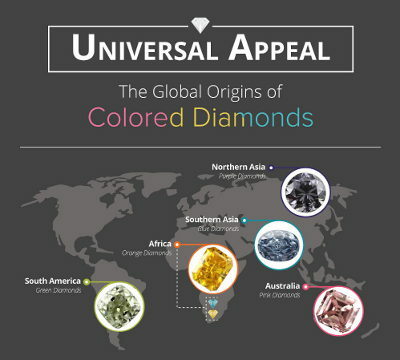 Indeed, fancy color diamonds make major headlines in the news but since they are so rare in nature, and are found in limited places around the world – comprising just 1% of all mined gem quality diamonds, hardly anyone ever gets to truly enjoy them. The Argyle Violet is in good company. The Juliet Pink diamond is a treasure in and of itself, as it is a 30.03 carat Fancy Intense Pink oval shaped diamond with VVS2 clarity. The Victorian Orchid Vivid Purple is a 1.64-carat Fancy Vivid Purple diamond with SI2 clarity. 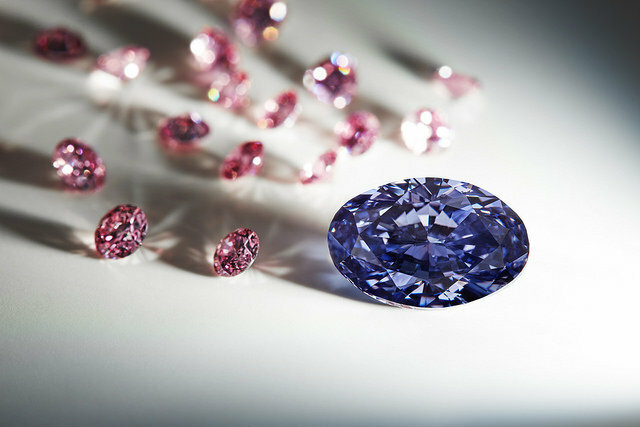 Purple diamonds are almost equally rare to violet diamonds and the two are often found in similar mines, although this is not the case with these two. The Rainbow necklace features more than 100 diamonds weighing approximately 36 carats in a multitude of colors. So… which of the above is your favorite?